Are Pay-Per-View Hotel Movies Pointless In 2010? DirecTV customers are complaining that a software upgrade is shoving pay-per-view movies onto their DVR hard-drives, eating up disc-space and causing headaches. Tipster Buzwardo says, “I find it pretty darn annoying that DirecTV is sending me PPV content that I now have to make sure my kids don’t play.” More complaints can be found in the DirecTV Forums. 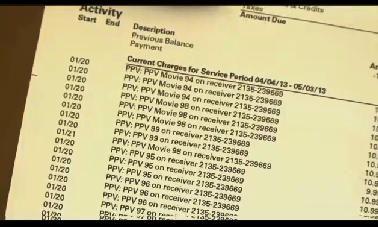 Thanks to the demands of movie studios, as of April 15th any pay-per-view movies you record to your DirecTV DVR will disappear after 24 hours. [DirecTV] Thanks to Mark!